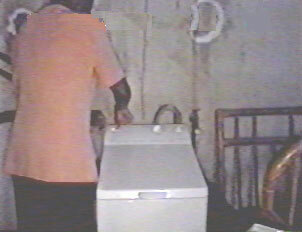 Laundry is done at home in Martinique, usually in a washing machine. Whoever is in charge of the laundry, typically either the woman of the house or a housekeeper, will then hang it out in the sun; it is almost unheard of to own a dryer. Although there are no laundromats, tourists can bring their laundry to the dry cleaner or have it done at the hotel.